Bangkok (Thailand) – November 25, 2016 (travelindex) – Gather your loved ones this season at JW Marriott Hotel Bangkok and savour precious moments together. With several venues, from the newly renovated Grand Ballroom to inspiring function rooms, to a team of culinary masters and dedicated events professionals, your event is guaranteed to become an unforgettable affair. 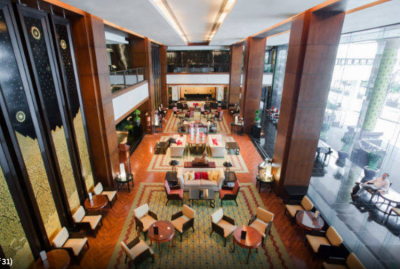 JW Marriott Hotel Bangkok is one of Bangkok’s most luxurious hotels with state-of-the-art event venues and our great packages are designed to add a special touch to your gathering when booking your next event. Experience the magic of the Sharing Season with a range of elevated packages perfect for any size or style of event. We are delighted to offer some special extras to make your event even more meaningful. For more information, please contact Khun Kamonnat Sukaramula at tel: 02-656-7700 ext. 4347 or email: moc.ttoirram@s.tannomaK. Offer applies for event held by 30th March, 2017.